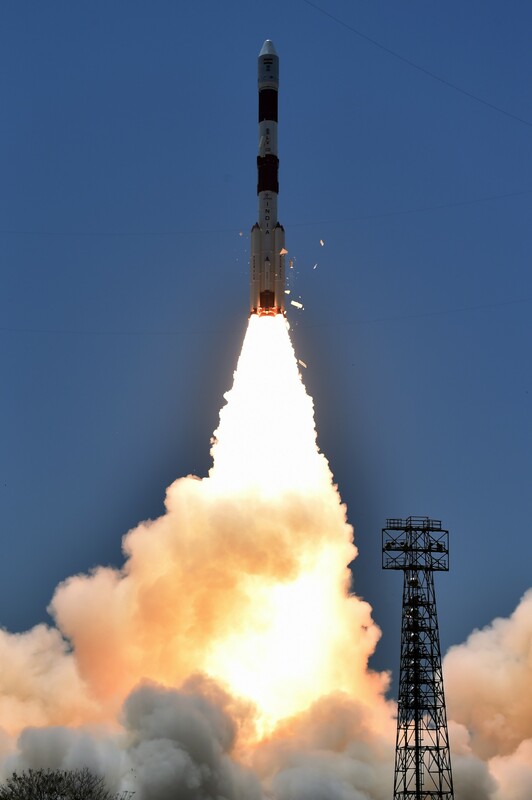 The Polar Satellite Launch Vehicle, in its thirty-fifth flight (PSLV-C33), launches IRNSS-1G, the seventh satellite of the Indian Regional Navigation Satellite System (IRNSS) into a Sub-Geosynchronous Transfer Orbit (Sub-GTO). 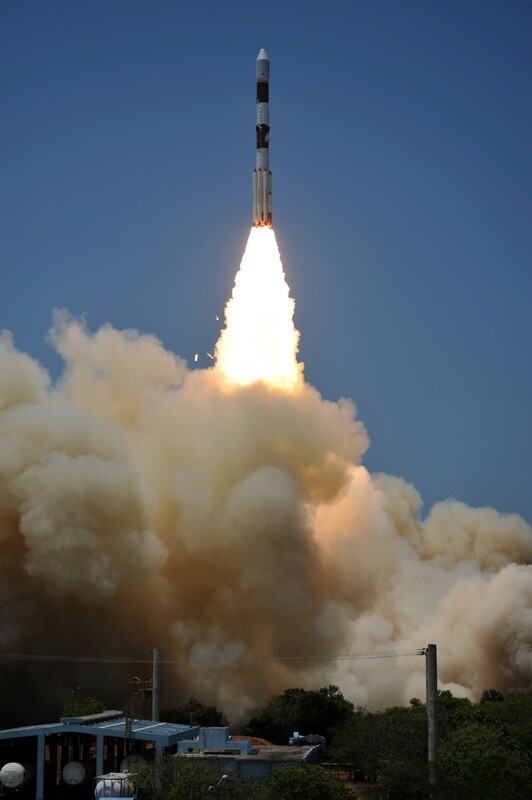 The launch took place from the First Launch Pad (FLP) of Satish Dhawan Space Centre (SDSC) SHAR, Sriharikota on April 28, 2016. 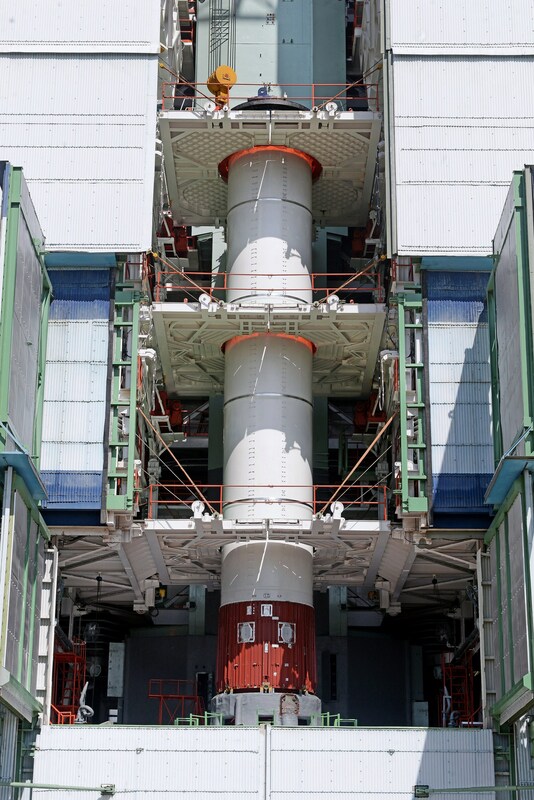 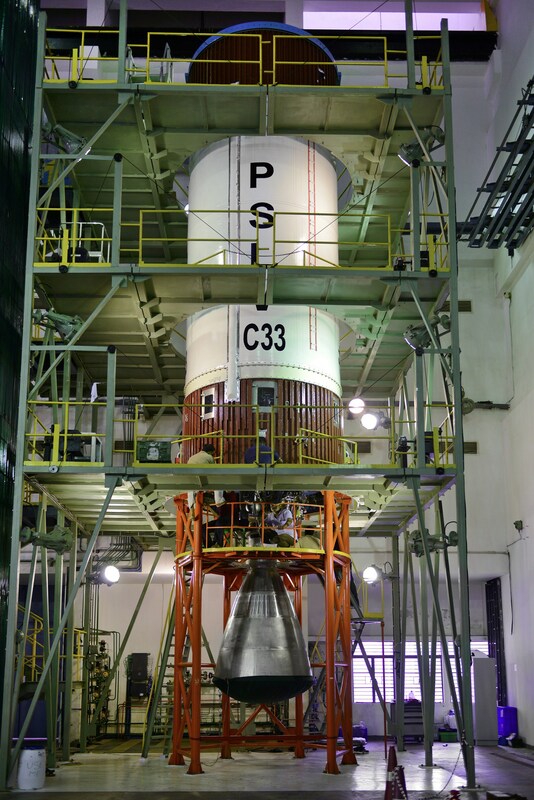 As in the previous six launches of IRNSS satellites, PSLV-C33 uses ‘XL’ version of PSLV equipped with six strap-ons, each carrying 12 tons of propellant. 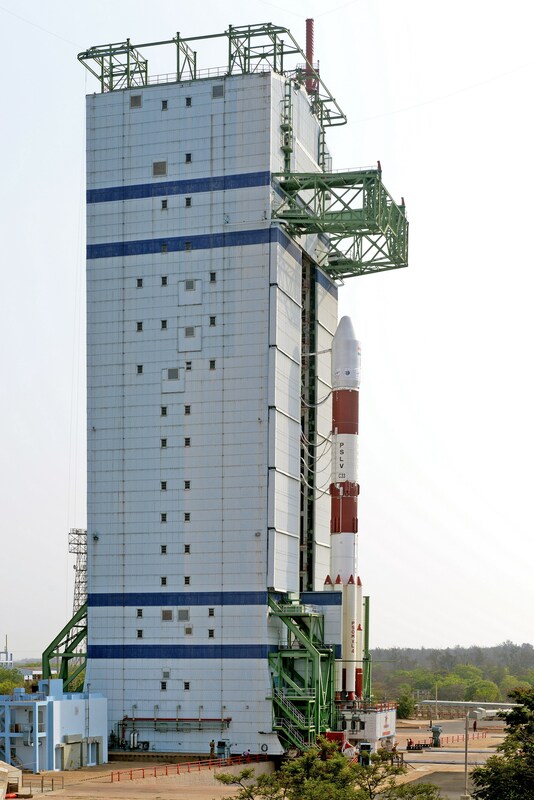 The 'XL' configuration of PSLV is used for the thirteenth time. 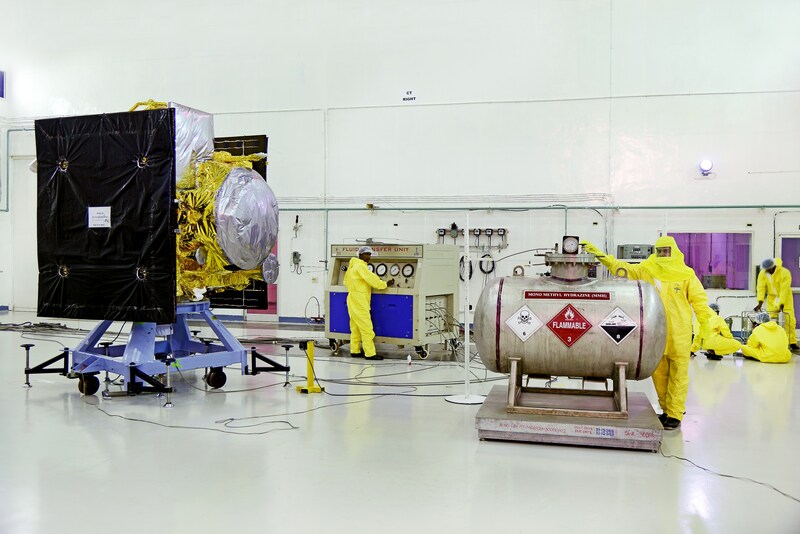 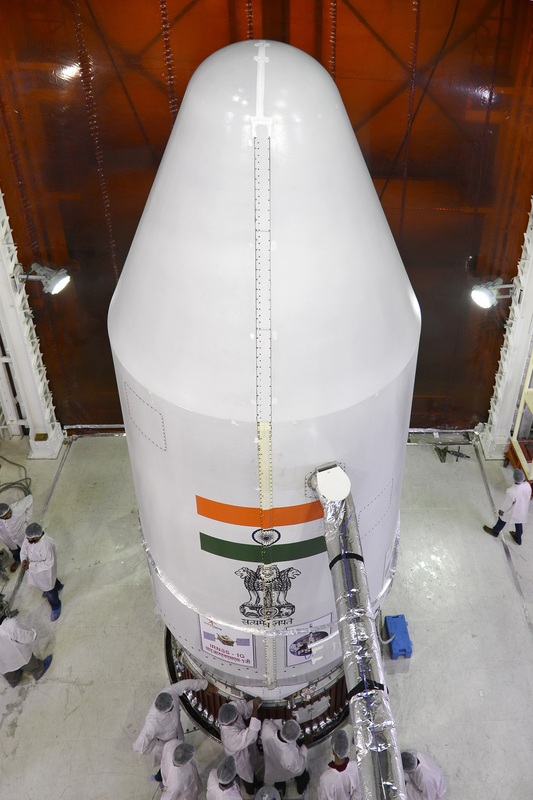 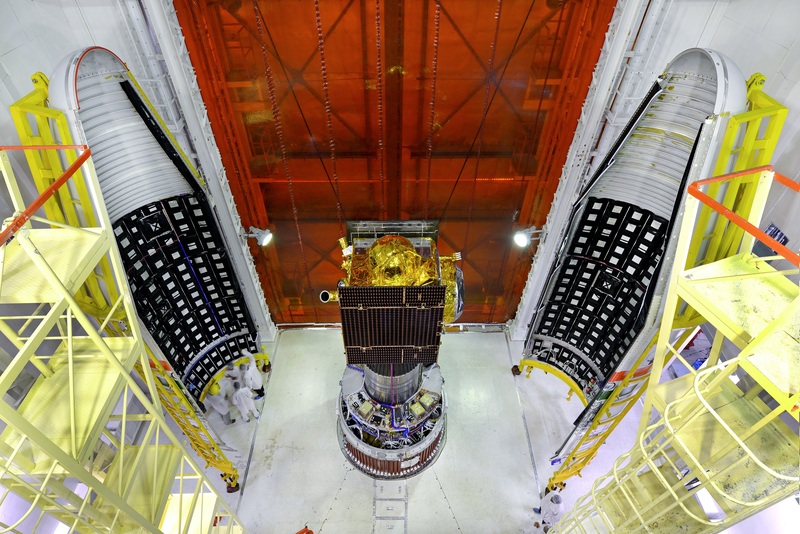 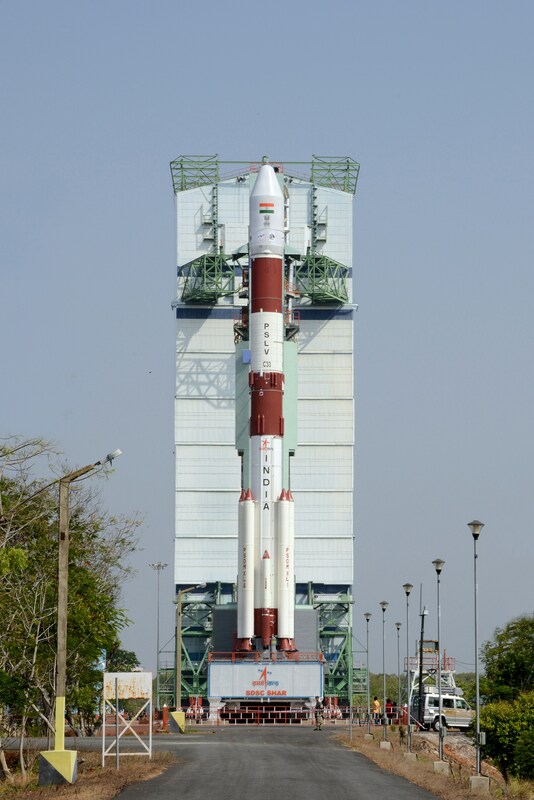 Besides launching six IRNSS satellites, PSLV-XL has also launched many other spacecraft including India’s Mars Orbiter spacecraft, the multi-wavelength observatory ASTROSAT, Radar Imaging satellite RISAT-1 and the Communication satellite GSAT-12. 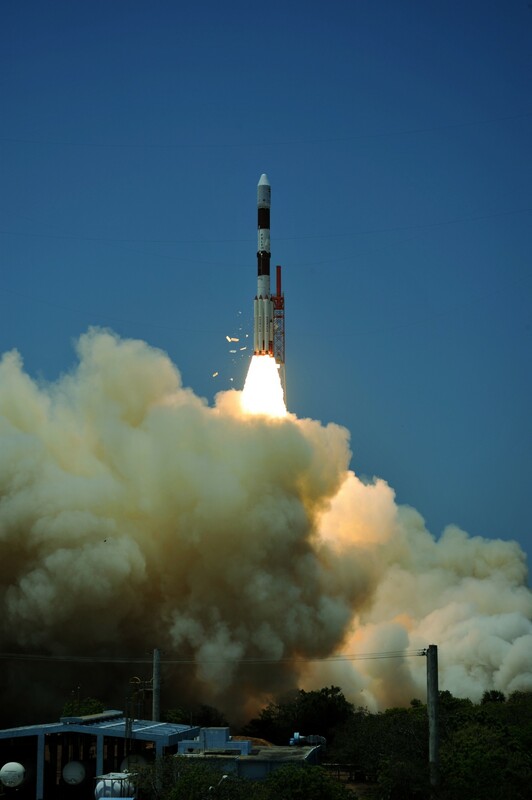 This apart, PSLV-XL has successfully placed five satellites from United Kingdom into orbit in a single commercial mission.